A lush flower garden can take your breath away, but an overgrown garden will leave your plants fighting for room to breathe. Sometimes, there's a fine line between the two. Other times, the flower bed might look more like a vacant lot. 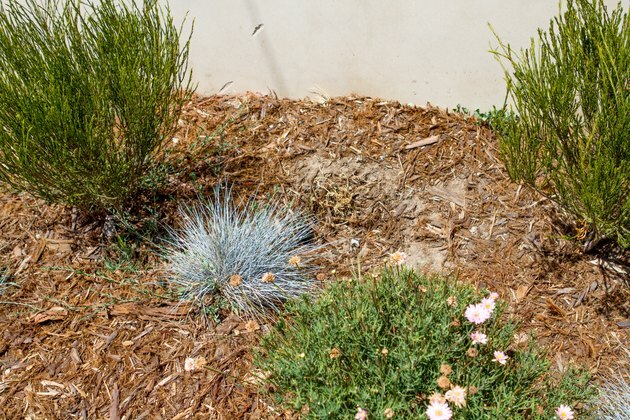 If your flower bed is overgrown with weeds, sprawling vines and spreading perennials, don't despair: A little -- OK, a lot -- of digging, dividing, pruning and mulching will get your garden back into shape. Remove the weeds. Instead of spraying an herbicide, pull them out so that you don't accidentally poison desirable plants. Dig them up or use a trowel. Pull them as carefully as possible so that you don't scatter seeds, and try to keep the roots intact so that new weeds don't sprout from roots left behind. 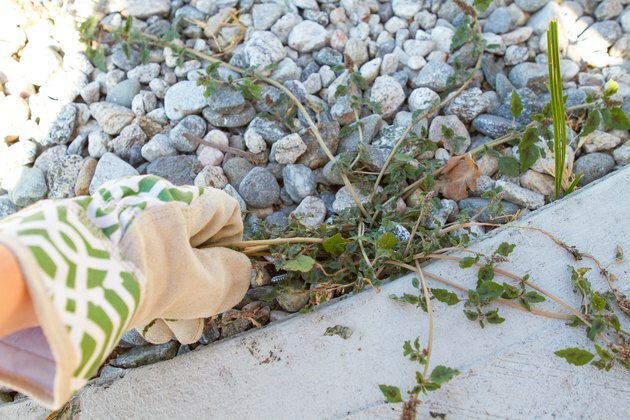 Place the weeds in a garbage bag to contain them for disposal. 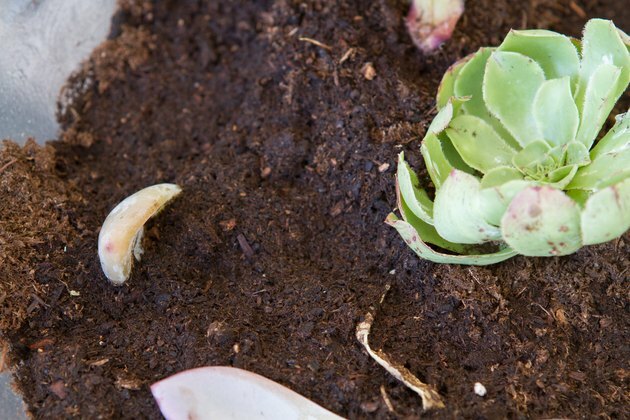 Take out dead or dying plants by digging them up with a spade or garden fork and disposing of them. 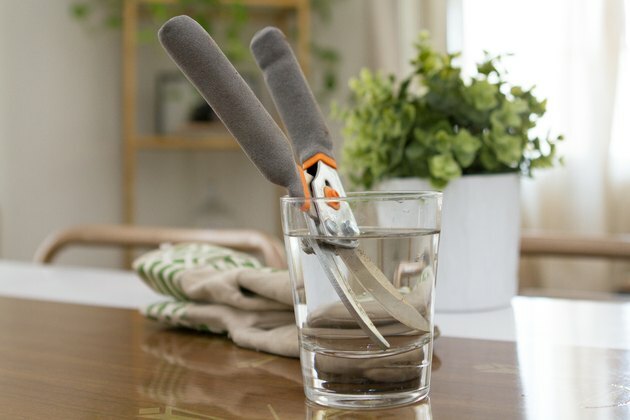 Sterilize pruning tools by submerging the cutting edge in a mixture of 1 part household bleach to 3 parts water for a minimum of five minutes, then let them air-dry. 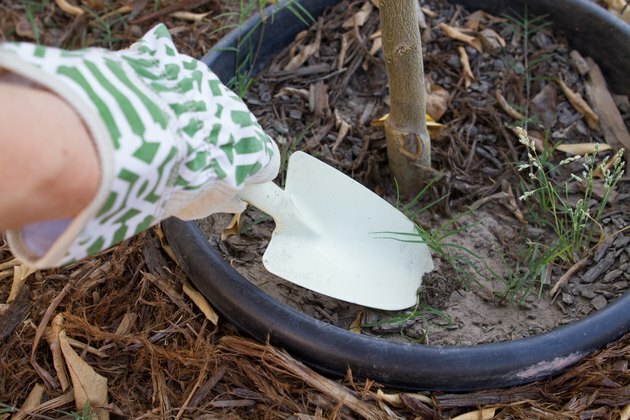 This will prevent diseases from being spread from plant to plant as you prune. Sterilize before you start pruning each shrub. Prune overgrown shrubs. 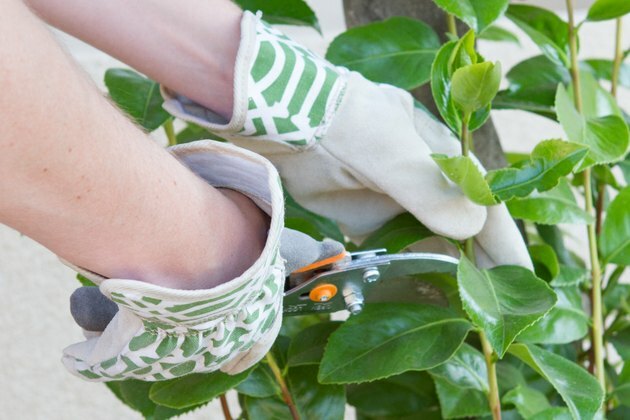 How and when you prune will depend on what type of shrub it is, and if it blooms on old or new wood. In many cases, pruning is done in late winter, before new growth appears. In all cases, however, you can at least remove any broken or dead branches down to the ground. Many shrubs can tolerate being cut back to the ground entirely. This is most often done in early spring. Divide large perennials. This is best done after the flowers have faded. This will open up the flower bed and rejuvenate the remaining plant, helping it grow stronger and bloom more prolifically. Give away the new plants or plant them elsewhere in the landscape. Amend the soil with 3 or 4 inches of organic mulch. Work the mulch down to a depth of 6 to 12 inches. This will add much-needed nutrients to the soil so you can fill in the spaces with new plants.